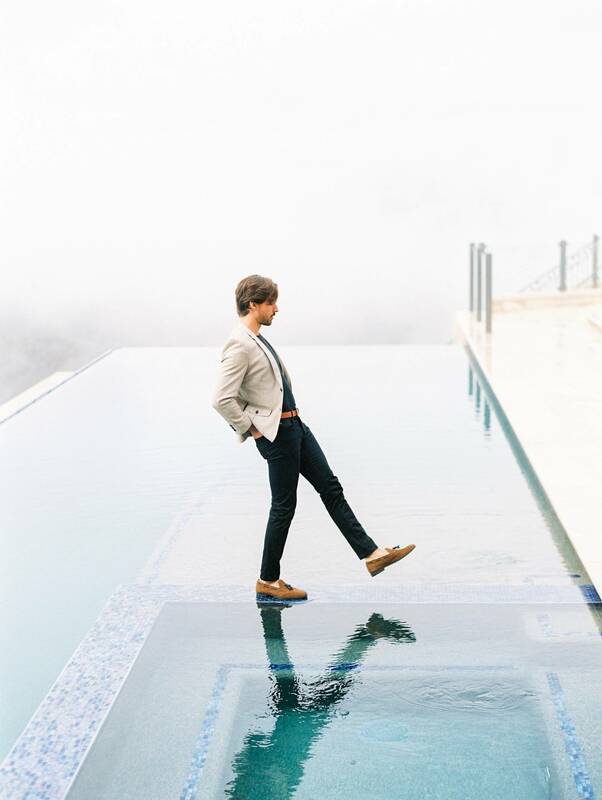 Classic and elegant – this playful engagement shoot brings European-inspired vintage luxury into the clouds at Los Angeles’ show-stopping venue, MALIBU ROCKY OAKS. Much like the striking landscape of Tuscany, this styled engagement shoot will leave you dreaming of Italian proposals. Cypress trees line the windy road showing guests from afar which direction to enter the estate. Between the olive trees, the vineyards and the rolling hills, the venue offers endless vistas and places for photography and these gorgeous images by PURA SOUL showcase those options splendidly. Styled with her signature flair, JOY PROCTOR tastefully dressed the couple in vintage pieces from XTABAY VINTAGE. 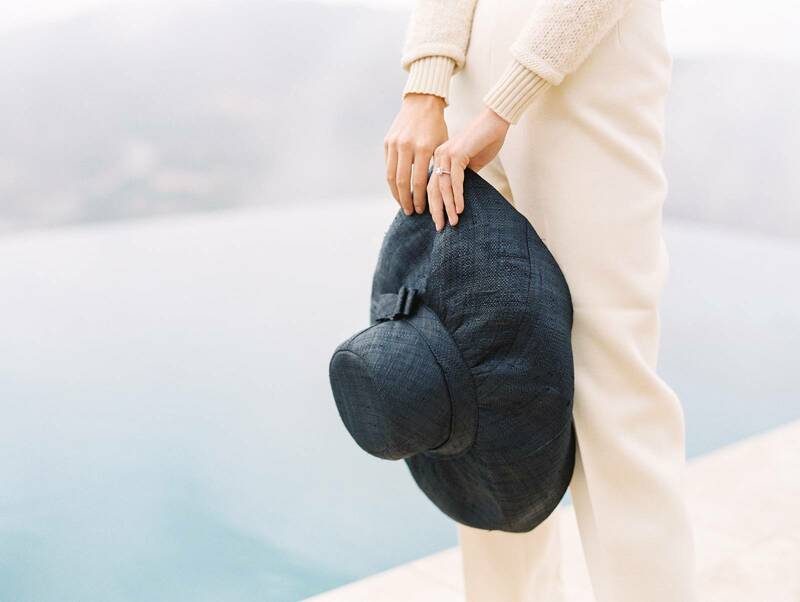 The bell-shaped hat paired with the monochrome outfit made the perfect silhouette against the stone facade and cream interior at MALIBU ROCKY OAKS. The couple used a vintage Rolleiflex film camera during the shoot, a great idea for a photo-loving couple. Whilst I'll forever be a fan of simple engagement shoots it's nice to incorporate a few things that you love into the shoot. The hair and makeup artist, NYRIE AITKEN, softly curled the bride’s hair and the cloudy, dewy morning air let the curls fall in a beautiful way. A dark eye, clean face, subtle highlighting and just a pop of reddish pink lipstick complemented the simplicity of her monochrome outfit. These photos are stunning. Really lovely, Sky and Devin Pura Soul Photo! You guys are the best.